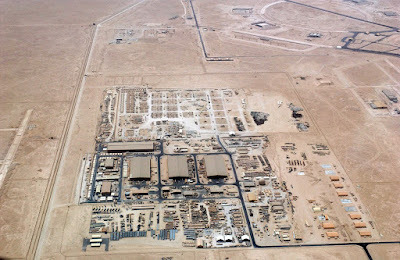 This is a continuation blog from here, discussing the diplomatic schism between Arab states and Qatar - with more questions about what the West, and more particularly the USA, should do. To remind readers, on 5 June, Saudi Arabia and its allies severed diplomatic relations with the Emirate of Qatar over its support for Iran and for militant Islamic fundamentalist groups. Saudi Arabia also closed the land border and air and sea space to traffic bound for or from Qatar. The Arabic language media giant, Al Jazeera is banned in the Kingdom. Qataris have 14 days to leave the Kingdom and no Qataris may enter or transit Saudi Arabia. Saudi citizens have been directed to not travel to Qatar. Saudi citizens in Qatar have been directed to leave within 14 days. Bahrain, the United Arab Emirates, Egypt, Yemen, the Maldives, Mauritius and the Tobruk-based government in Libya also cut diplomatic relations and gave Qataris 14 days to depart. Egypt also closed its airspace and ports to traffic to or from Qatar. The Saudi-led military coalition in Yemen ordered the token Qatari presence to leave the coalition and Yemen. Turkey and Iran stated their support for Qatar. Iran offered to provide supplies that normally would come overland from Saudi Arabia. A longstanding agreement to disagree about multiple Arab issues has erupted as a public schism among Sunni Arab leaders. The specific trigger for Saudi Arabia’s action is unclear. An analysis in the Financial Times contends that Qatar recently contrived to pay an al Qaida affiliate in Syria and Iranian security authorities $1 billion on the pretext of releasing kidnapped Qataris and detained jihadis. The Saudis just learned of it. Both the Financial Times and the Guardian (UK) covered the unfolding story over the last month or more of 25 members of the Qatari royal family who had been held in Iran as prisoners for more than a year. They were kidnapped in southern Iraq while on a family hunting/hawking trip, presumably by Hezbollah-affiliated actors, who sold them to Iran. Over the past two weeks, however, Qatar News Agency published remarks attributed to Sheikh Tamim who said that “there is no wisdom in harboring hostility toward Iran.” He also described Iran as “a regional and Islamic power that cannot be ignored.” He supposedly said Hamas is the true leader of the Palestinians. These remarks coincided with the US President’s visit to Saudi Arabia and contradicted Saudi views. Qatari authorities later said its news agency was hacked, but the Saudis and Emiratis banned al Jazeera nonetheless and dismissed the hacking story. The Emir of Qatar, Sheikh Tamim, congratulated Iranian President Rouhani on his re-election, making him the only Arab monarch to do so. 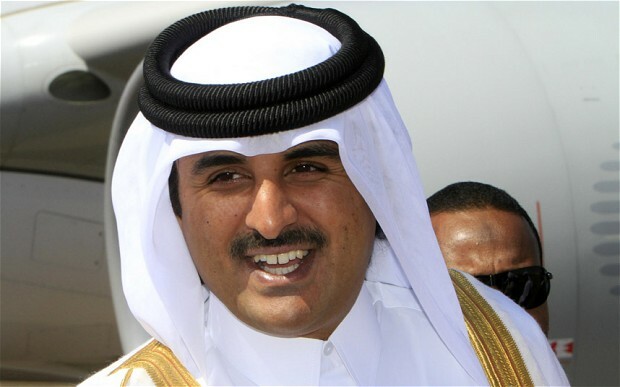 The Qatari emirate has bucked mainstream positions held by Arab leaders for years. The friction with the Saudis strikes appears to be "personal" as well as rooted in policy differences. The young Emir, Tamim bin Hamad Al Thani, refuses to acknowledge Saudi Arabian leadership and refuses to defer to the Kingdom on policy issues. Qatar maintains cooperative relations with Iran partly because Qatar shares with Iran a large undersea gas field. The other part is because it gives Qatar outsized stature and leverage in Arab meetings. The Qataris are reputed to support various al Qaida franchises, the Taliban, the Islamic State, the Muslim Brotherhood and Hamas. For example, the Afghan Taliban staff a diplomatic office in Doha. That support makes Qatar a unique place for meetings between warring parties. Terrorist and other extremist groups require constant funding because they are parasites. Qatar always seems to be mentioned when financing of terrorism is concerned. The meeting that took place between Arab leaders and President Trump along with the call to fight terrorism at home for the Arabs has given the Saudis the "American Card" to play. And they did just that. The action to isolate Qatar represents the backlash against grievances accumulated over many years. The Saudi treatment of Qatar signifies fragmentation in the Gulf States system, deliberately engineered by the Saudis. Its aim is to consolidate Arab unity against the Iranians and Sunni extremists. Qatar must be with the Arab mainstream or become a pariah. Qatar’s policies of accommodating competing viewpoints are no longer tolerable in the Gulf State system. The Saudi version of NATO – the Islamic Military Alliance to Fight Terrorism -- cannot succeed with Qatar supporting the groups the alliance aims to suppress. Violence is unlikely in this scenario, mostly because the US does not want instability near its large air force base in Qatar. Some form of rapprochement is unavoidable, after a time. Qatar is too small, vulnerable and too resource poor to stay out of the Gulf States system for long. Iran and Turkey lack the resources to carry the Qataris. The price of Qatar’s readmission to the Gulf States system as a member in good standing will be a reduction, if not a termination, of Emirate support to Islamic extremist movements. If that occurred, it would represent a milestone in the fight against Islamic terror. Cutting the financial support subsystem is a solution to terrorist parasites, for as long as the blockage lasts. Nobody of any note asked me, but my sense is that the US will work (with the Saudis and their allies) to have Sheikh Tamim step aside. So long as he remains in power, the problem with Qatari financial support for terrorism and its gambit for a larger share of influence in the Gulf will continue. The quarantine of Qatar in the Gulf Region can be attributed directly to Sheikh Tamim. 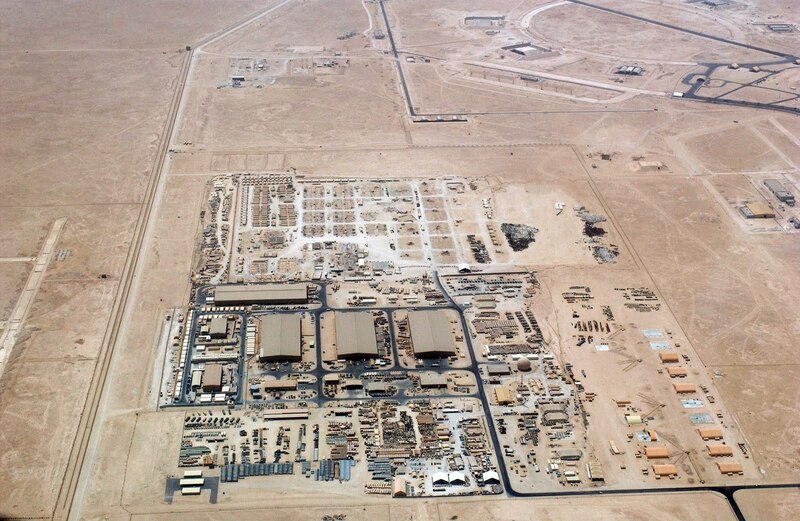 The US wants to keep its base and infrastructure in Qatar and it wants to see funding for terrorism dry up. It's a difficult position to be in and my guess is that SECDEF Mattis and National Security Advisor McMaster will suggest to President Trump that the US watch this whole thing play out. Saudi pressure will increase on Qatar over the coming months and the US doesn't lose anything by standing on the sidelines while advising (soto voce) a regime change. (Fox News) There’s a battle inside the Trump administration over what to do about the Muslim Brotherhood, the group at the center of Monday’s pivotal decision by Saudi Arabia, Egypt, the United Arab Emirates and Bahrain to cut ties with Qatar over allegations it supports terrorism. Qatar has dumped a lot of money on K Street to buy lobbyists to plead their case and it worked during the years of Obamanation when the Clintons (who are said to have socked over a billion dollars in a Qatari bank) and Obama were for sale in a pay-to-play game that is familiar to everyone inside of the Beltway. President Trump asked Arab nations to police themselves two weeks ago. Now they are doing it. Qatar has long been considered a supporter of terrorism by several key American allies including Egypt, Saudi Arabia and the United Arab Emirates. The camps inside the White House, break down to two groups: On one side is a political group led by Chief Strategist Steve Bannon and the other side is led by National Security Adviser H.R. McMaster and Defense Secretary Jim Mattis. Generals McMaster and Mattis are said to be concerned about America’s deep military commitment to Qatar, where the U.S. operates a key airbase; Bannon is said to want to push for an official designation of the Muslim Brotherhood as a Foreign Terrorist Organization. There are factions of the Muslim Brotherhood who do not support terrorism, while others rabidly do. Targeting the entire Brotherhood, may be a mistake. However, Qatar clearly falls within the sphere of influence of the radical Brotherhood as does Hamas, which is a spin-off of the Muslim Brotherhood. Muslim Brotherhood affiliates in Yemen and Egypt are clearly terrorist operations. USGOV has tasked Treasury to determine which factions of the Brotherhood are supporting terrorism. It's interesting to see the US (Democrat Party) groups call what Saudi Arabia, Egypt, Bahrain and the United Arab Emirates "Islamophobic". The Muslim Brotherhood is generally regarded as the ideological forerunner of both al-Qaeda and ISIS. Saudi Arabia knows that. So does Bahrain, Egypt and the UAE. It's why they are politically isolating Qatar as a form of cancer. The White House is split on it (why? ).